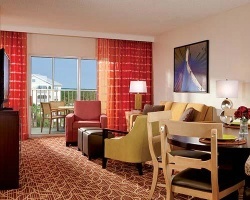 Lock down years of amazing family vacations to Orlando at the stunning Marriott Harbour Lake Resort. 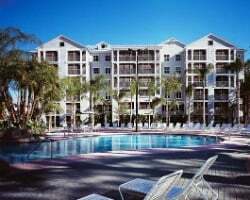 Find timeshare resales and rentals at the resort for prices up to 70% lower than retail costs. Located just minutes from SeaWorld Orlando, the Marriott Harbour Lake timeshare welcomes families looking for their dream vacation escape. With a distinct Caribbean feel and modern design, you'll find a complete vacation resort stocked with fantastic amenities guaranteed to give you the stay of a lifetime. From the two on-site swimming pools to the water playground, you'll have plenty to do and see right on site during your Orlando trips. Accommodations at the resort range from elegant studios to one and two bedroom villas that incorporate a fresh design with updated furnishings to ensure your comfort. Perfect for families seeking a thrilling summer vacation getaway as well as couples looking to have some fun at area theme parks, there's room for everyone at the Harbour Lake Orlando. Enjoy extensive homelike amenities like full kitchens, premium bedding, private balconies, and spacious living areas during your stay, all while taking in views of the resort's well-kept grounds. 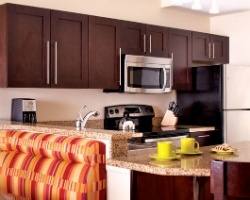 Are you ready to find your perfect long-term accommodations in Orlando? Fill out the form on this page to learn more about ownership options at the resort or call a representative at 1-877-815-4227. Purchasing a timeshare resale at Marriott Harbour Lake Orlando can provide you with years of great trips to Florida packed with exclusive owners-only benefits. However, buying a timeshare on the resale market can also provide you with years of guaranteed luxury accommodations and save you money. Timeshare resales are sold by current owners, and not by the resort itself, meaning you can make your own purchase offers directly to the seller, and you won't have to overpay for accommodations you don't like. You can even find units priced up to 70% lower than retail costs. Resales at the resort typically come in the form of deeded fixed and floating Marriott timeshare weeks spread throughout the brand's Gold and Platinum seasons. You'll be able to find the unit for you by narrowing down results according to price point, unit size, room features, and more. Additionally, your timeshare resale could lead to further benefits with a Marriott Vacation Club membership. The Harbour Lake is affiliated with the Marriott Vacation Club, which means resale owners at the resort have the opportunity of a lifetime to join the club and take advantage of the benefits. Resale buyers can use their deeded week to plan trips to Orlando, but more potential lies behind upgrading your ownership. By converting your timeshare week to Marriott Vacation Club Destinations points, you can unlock an easier method of making reservations and switching up your yearly trips. You can also use your Destinations points to expand your horizons and book stays at other Marriott resorts around the globe. Marriott's Harbour Lake resort is affiliated with Interval International, one of the world's leading timeshare exchange companies. Exchanging your timeshare resale can help you to truly get the most out of your ownership, as it can broaden your vacation potential. Simply obtain your Interval membership, and deposit your accommodations into the exchange network. From there, you'll be able to trade for stays at comparable resorts all over the globe. Additionally, the Harbour Lake Marriott is a Premier rated resort, meaning you'll be able to exchange with properties of similar quality. Marriott's Harbour Lake is loaded with an armada of on-site services and amenities designed to improve the vacation experience of every guest. For starters, the resort champions one of the best swimming complexes in Orlando. The Florida Falls water slide leads into the massive WaterWorks outdoor swimming pool, providing hours of entertainment for families. Similarly, the Shipwreck Landing outdoor pool features an interactive pirate ship in the middle of it, appealing to children of all ages. The resort's fitness center and volleyball courts are ideal for staying active while you enjoy your trip, while the whirlpool spa is the perfect place to relax. You'll find great American-style dining at The Patio Bar and Grill, with The Outpost serves up snacks and drinks. Challenge your family and friends to a round of mini golf at the resort's course, or depart the resort to discover the best attractions around Orlando. Head to SeaWorld Orlando just a few minutes away, or venture out farther to Universal Studios or Walt Disney World. Shop at the Mall at Millenia, or golf at some of the area's best courses like Golden Bear Club and Orange County National Golf Center and Lodge. Take a day trip east to the Kennedy Space Center, or head west to discover Busch Gardens Tampa Bay or Clearwater Beach. Already Own at Marriott’s Harbour Lake?